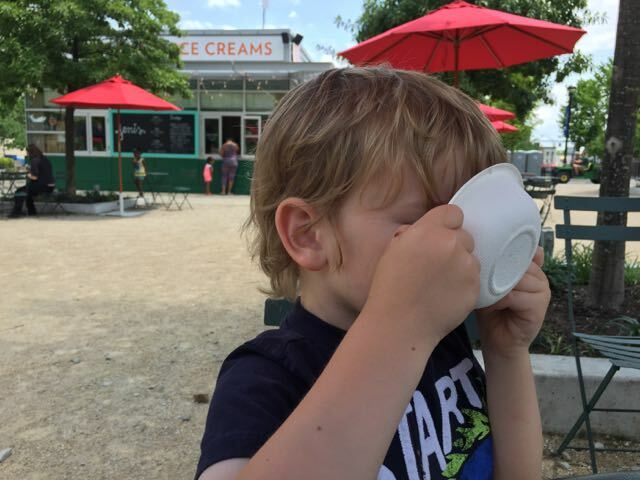 summer movies Archives | What Should We Do Today? 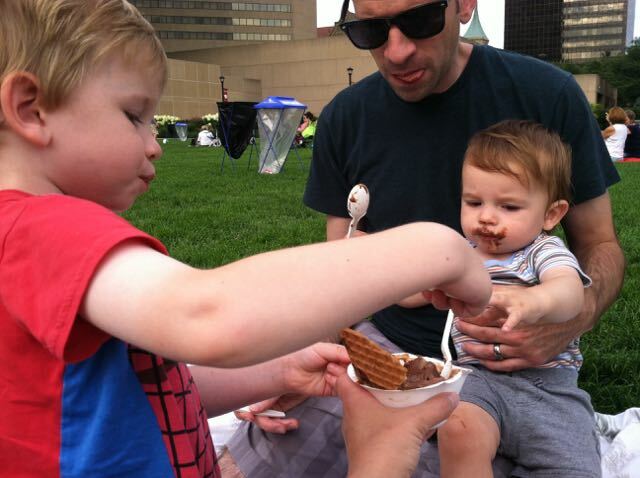 My family has enjoyed many events at the Columbus Commons over the past few years! 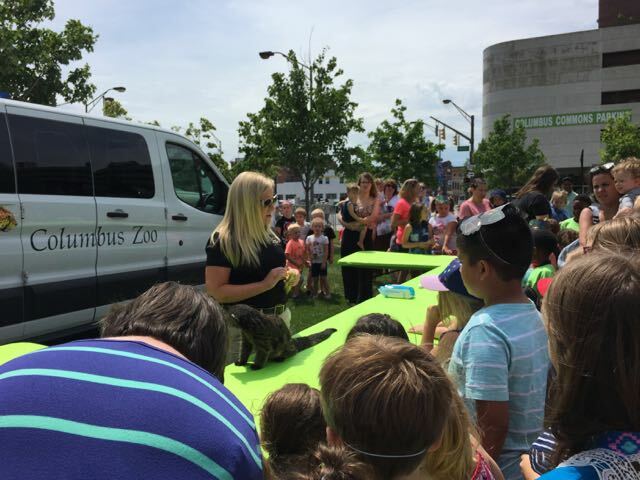 Many of the events have become traditions, especially the Downtown Live Concerts and Commons for Kids! My son still routinely asks when they are having the Harvest Festival because he remembers “making bread” there a few years ago! 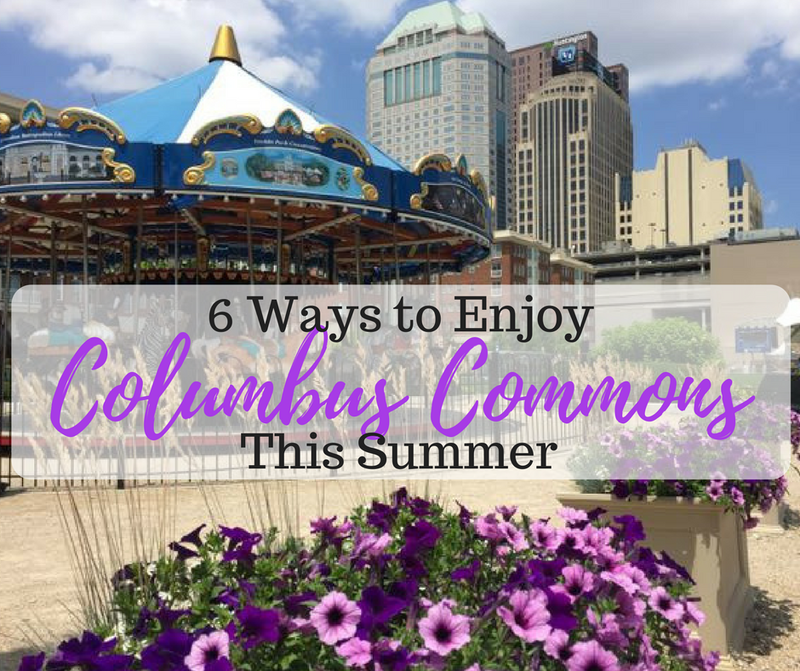 Get out your calendars because this summer is packed full of free fun at Columbus Commons. In fact, the Commons has developed a 2017 Summer Checklist to make sure you don’t miss a thing! 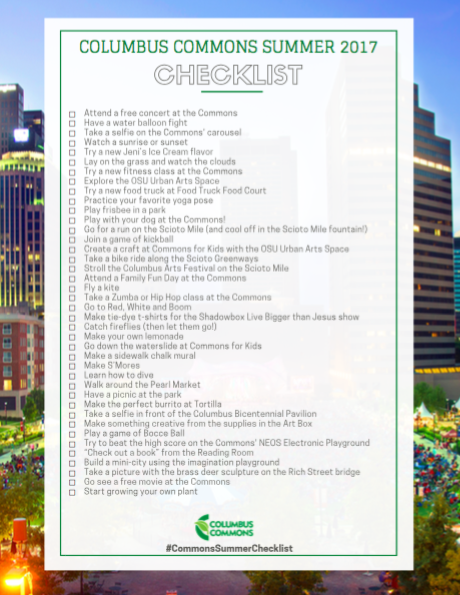 This year, I am a Columbus Commons Ambassador, so you will definitely see us checking off many of the items on this list! Now through October 26 (with the exception of September 14) from 11:00 AM – 2:00 PM, head down to the Commons for a fun lunch date! 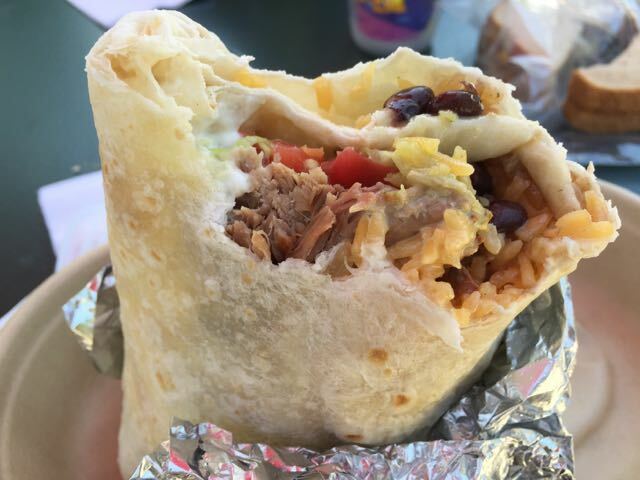 There will be 8 regular trucks and 2 rotating trucks each week! Beginning June 2 through August 18 (with the exception of June 30) from 10:00 AM – 1:00 PM, the Commons hosts a fun Friday morning for kids! 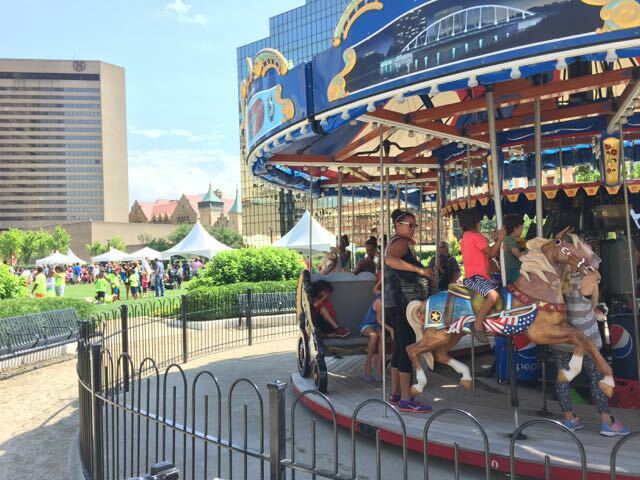 The carousel and bounce-houses are FREE during this time and there are other activities like arts and crafts, ball play, Imagination Playground, Art Box and a life-sized chess board! 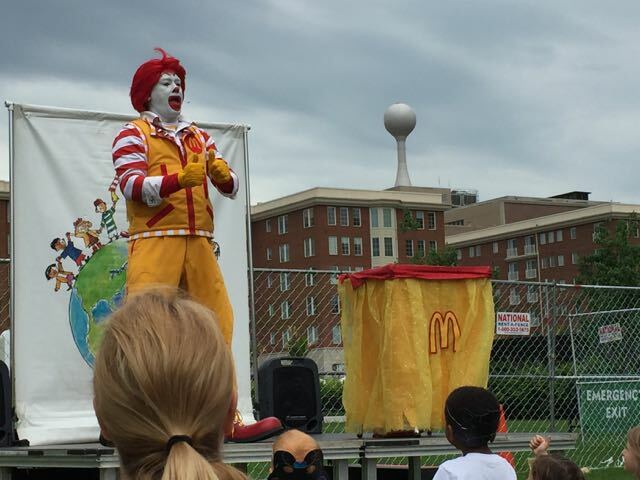 There are different visitors each week and we have seen Ronald McDonald, Columbus Zoo, Daniel Tiger from Visit Pittsburgh, and others! Other visitors this year include The Great Randini Magic Show, Aha!  Children’s Museum, Franklin Park Conservatory and more! If the temperature is 80 degrees or higher there will also be a water slide! For the past few summers we have hit at least a few of these FREE concerts on Thursday nights! 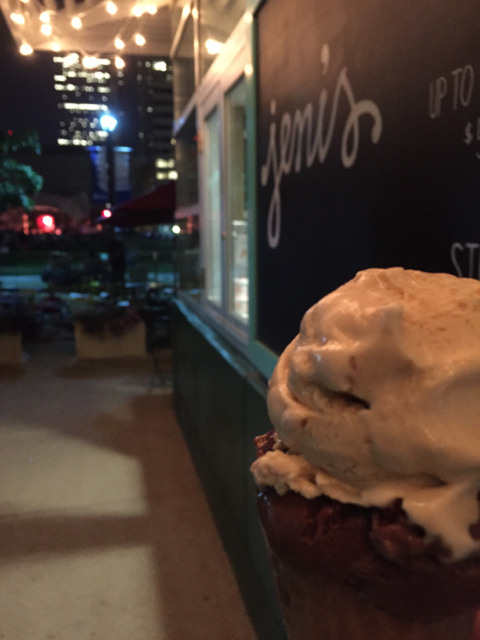 We like to pack a picnic dinner and then get ice cream at Jeni’s while we enjoy live music in the background! 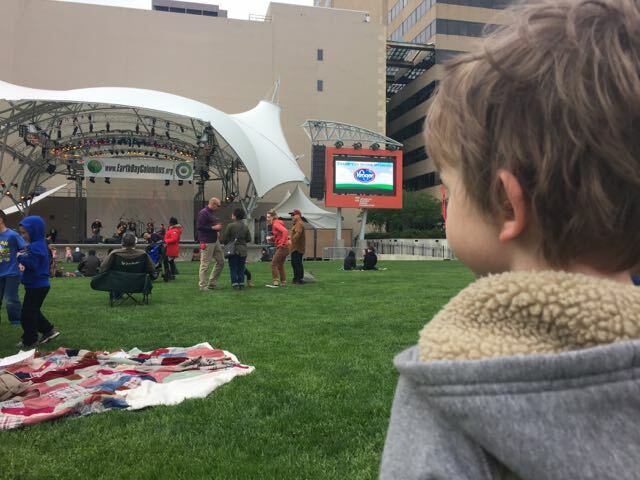 My kids love watching live bands and this is a relaxed and family-friendly way to do it! 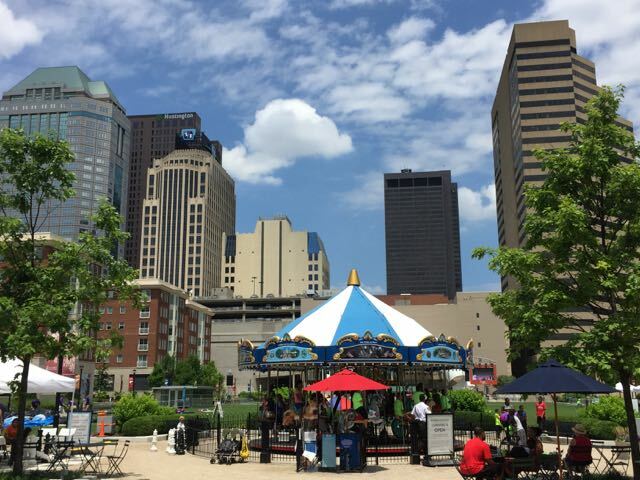 There are other FREE concerts happening at Columbus Commons throughout the summer! See the list here. There are 2 more Free Movie Nights throughout the summer! You can bring your own picnic or purchase food at the park. Each Movie Night has a different time and set of events going on that day. You can see all the details here. 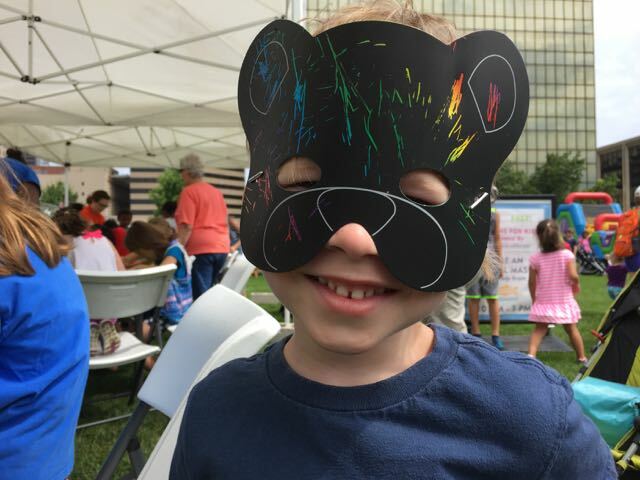 Family Fundays are FREE events on select Saturdays with activities for families! There are two more this summer! There will be free carousel rides, arts and crafts, a planting station with Lowe’s and more! A $5 wristband will get your child unlimited access to activities like laster tag, inflatables, face painting and Putt-Putt. If your child has a sensory sensitivity, you can come one hour early for a low-key atmosphere, thanks to Autism Speaks. In addition to the regular activities, the Harvest Fair also includes a pumpkin patch, pumpkin painting, and carving! 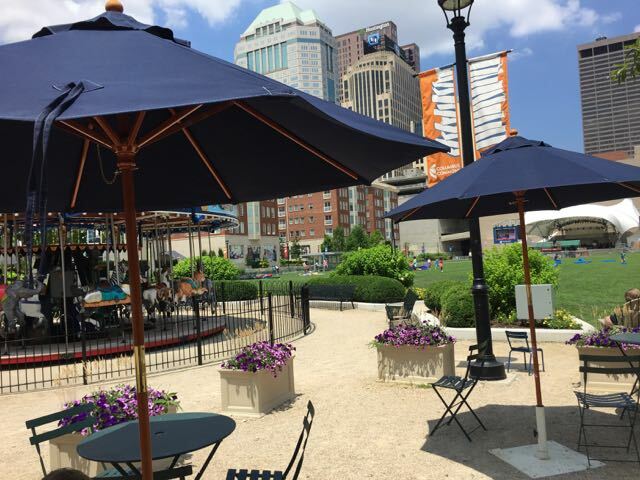 You don’t have to wait for a special event to play at Columbus Commons! 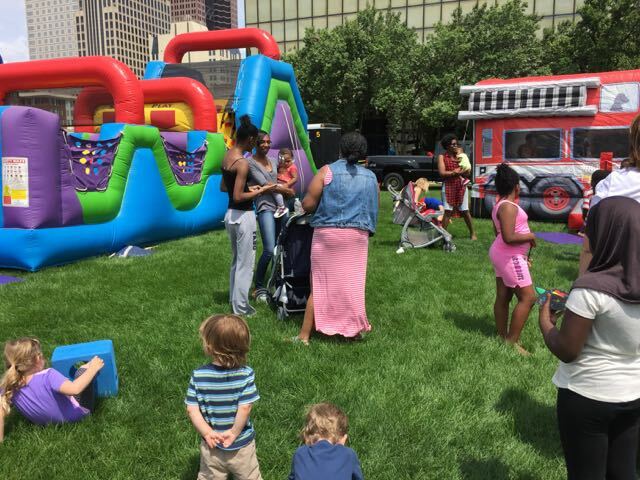 Activities like Art Box (a cabinet full of free art supplies), Bocce Ball, the NEOS electronic playground, and the carousel ($1/ride) are open throughout the week! 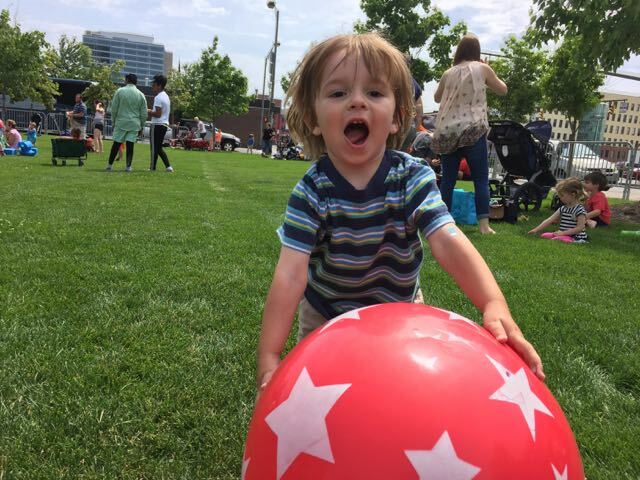 Open Play hours begin May 31 and end on October 2 and are Wednesday through Sunday from 12:00 PM – 5:00 PM, weather permitting. 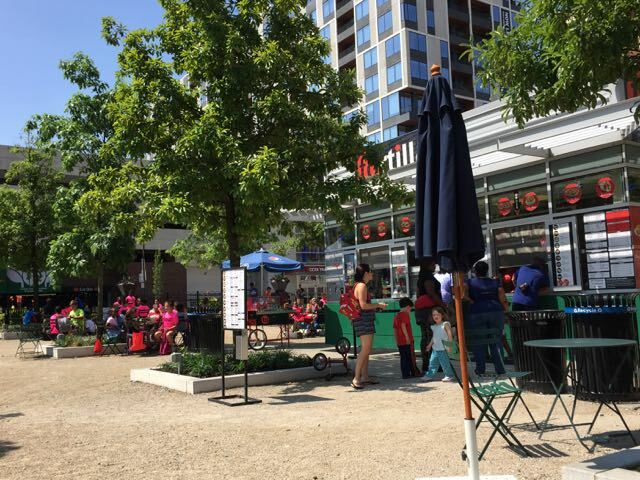 In addition to Open Play, there are two permanent cafes at the Commons, Jeni’s and Tortilla. For convenient parking, use the Main Garage at 55 E. Rich St. Parking is usually $5 for special events, but this may vary. That garage is directly across the street from Columbus Commons and takes the stress out of parking. Or you can be me and circle around the one way streets, trying to find a meter in the area. (I recommend arriving very early if you plan to do this!) 😉 There is also an underground parking garage. You can see all the parking info here. 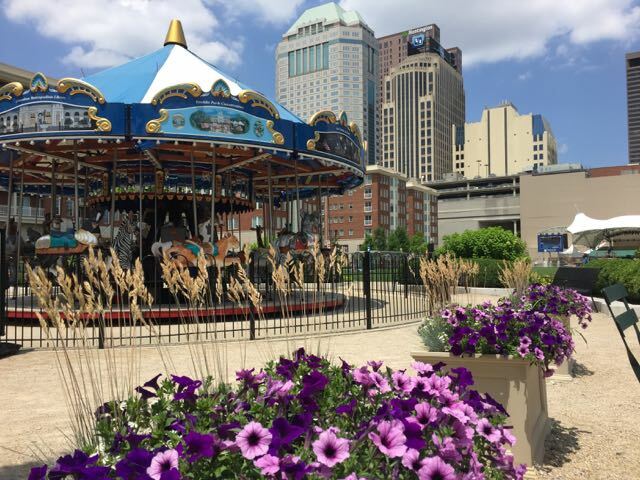 Which Columbus Commons event is your family’s favorite? ICYMI: IKEA Columbus Sneak Peek!